Dedicated in 1941, the Franklin D. Roosevelt Library is the nation’s first presidential library. Originally designed by FDR himself, the building was further refined in design by architects Henry Toombs and Louis A. Simon. Standing near the Roosevelt’s Hyde Park estate, the Dutch colonial inspired fieldstone structure blended well with the local vernacular of the Hudson Valley. Roosevelt wanted to make his presidential papers available to the public for study and use. The library was, in a way, FDR’s personal version of the National Archives, created in 1934 as part of the New Deal with the mission to preserve America’s material history. 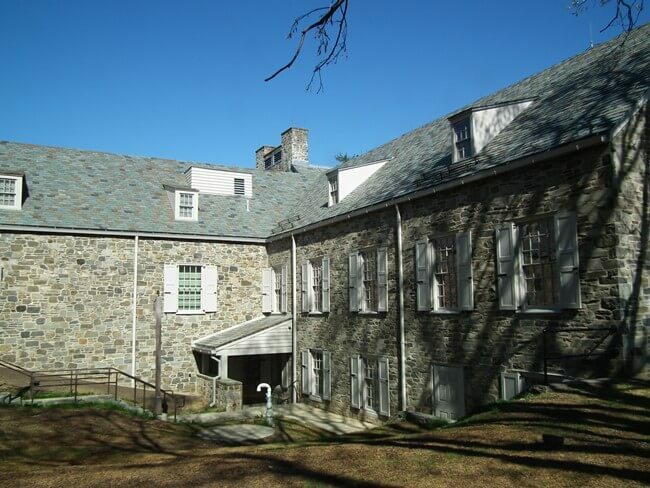 The FDR Library was built using private funds, and was turned over to the Federal Government on July 4, 1940. New wings were added to the Library in 1972 in honor of Eleanor Roosevelt. The Franklin D. Roosevelt Library underwent a $35 million renovation starting in 2010, which lasted three years. The project included many needed upgrades, bringing the library both up to code and to National Archives’ standards. Work performed by M&A focused on window restoration. Existing wood window frames received much-needed epoxy wood consolidation and Dutchmen repairs. 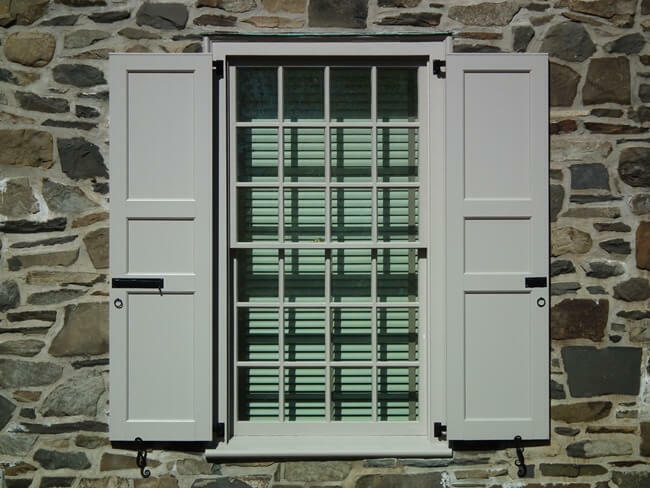 82 new wood window sash were fabricated to match existing original sash and were installed in 41 openings. 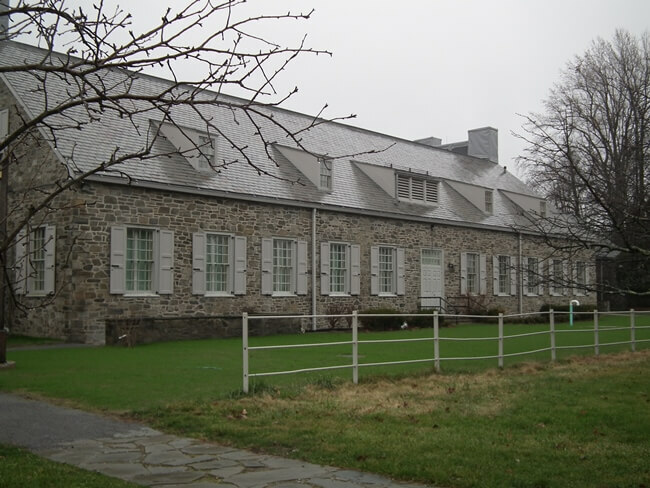 Tempered glass was used in these replacement sash, just one of many changes to the Library to bring it up to code and National Archives standards. Although the historic glazing wasn’t reused, the replica sash matched exactly in profile and size the originals, ensuring that the historic windows, such a dominant visual element of the structure, were maintained. 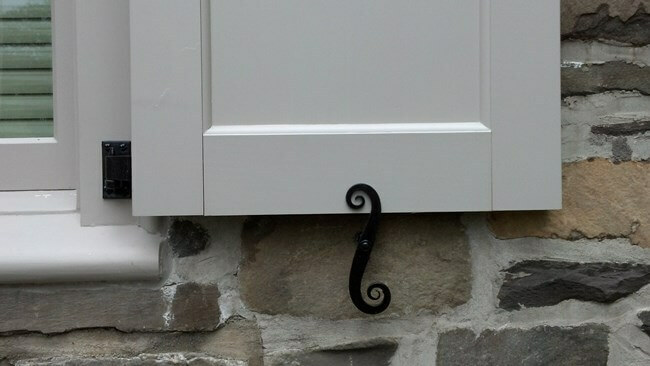 The historic shutters were removed and new custom replicas were fabricated and installed. M&A restored the original shutter dogs and shutter hardware to full working order. During the project, work at the pump house on the estate was identified and added to M&A’s scope of work. This additional work, including replacement of a batten door and one double-hung window, was identified just months before the library was scheduled to re-open. The need to have this work completed efficiently was high. M&A’s custom millwork fabricators were able to take field dimensions, produce shop drawings, and fabricate and deliver the replica door and window sash within just weeks, allowing M&A time to install the components before project completion. 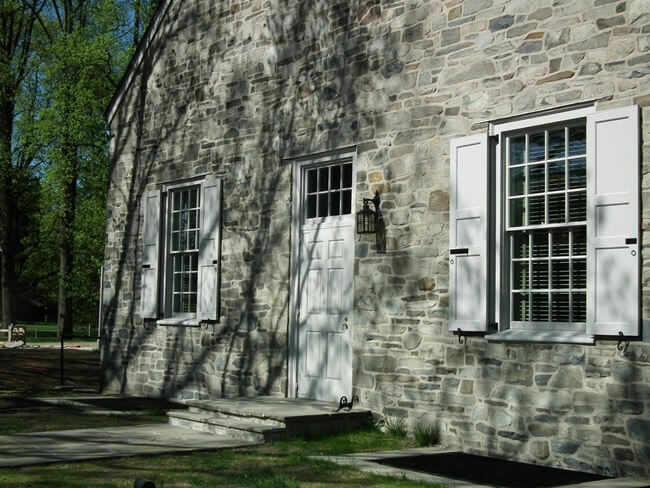 Although a secondary building, restoration of the pump house door and window were an essential part of this project, as the pump house is a component of the historic landscape of the FDR Library and Museum estate. 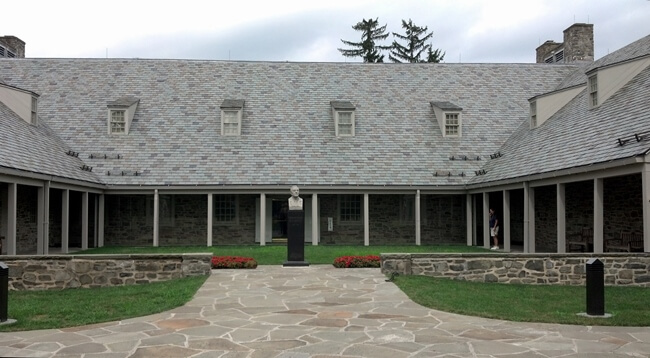 The FDR Library was rededicated on June 30, 2013, after its first renovation since opening more than 70 years earlier. 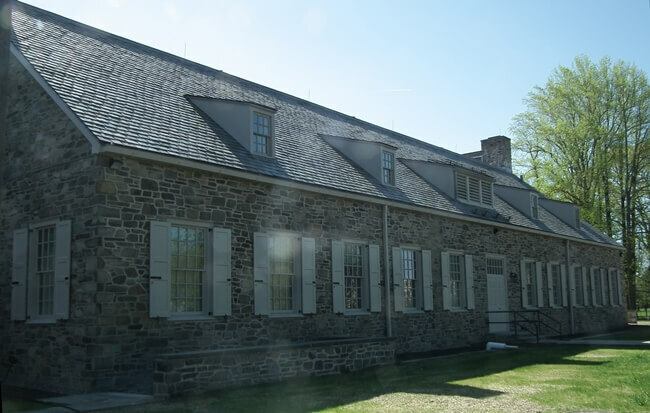 While cutting-edge in many ways, the library and museum still maintain their historic features, ensuring the legacy of this historic place lives on.